Amazon.com, Inc. (NASDAQ:AMZN), the world’s largest online retailer, has penned a deal with India’s largest retailer Future Retail Ltd (BOM:523574) to jointly sell goods online. The companies will first begin with the sale of apparel before going into other commodities. The two economic juggernauts are also expected to partner on marketing the products. The deal will see Future Retail Ltd (BOM:523574) expand its market reach and increase sales. Reports indicate that the company is targeting total merchandise sales volume of $1 billion within the next 3 years. 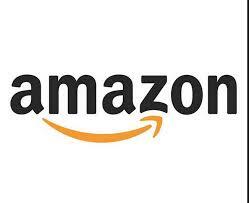 “The deal is deeper than just transactional involvement with Amazon. We are exploring several synergies in data sharing, co-branding, cross promotion and distribution network sharing through the partnership,” Future Retail Ltd (BOM:523574) CEO Kishore Biyani is reported to have said. Some of the product categories that the deal will include at a later date are household brands, food products and electronics. The products will be supplied by Future Group while Amazon.com, Inc. (NASDAQ:AMZN) will focus on handling online transactions. There have been a lot of complaints coming from traditional retailers, saying that online retailers make it difficult for them to operate. Such retailers say that online retailers provide too much discounts while some even sell at prices lower than the purchase price. A deal between a traditional and an online retailer is a good step in quelling such feuds. The deal will see Future Retail Ltd (BOM:523574) withdraw its brands from other online retailers and redirect them to Amazon.com. Amazon.com, Inc. (NASDAQ:AMZN) had earlier indicated that it would invest $2 billion in the Indian market to expand its operations. The online giant will also make forays into the food market, which has been quite a challenge for many online retailers. While the company is strengthening its operations in India through the partnership, it’s also reported that it will be opening its first brick-and-mortar store in Manhattan, New York.